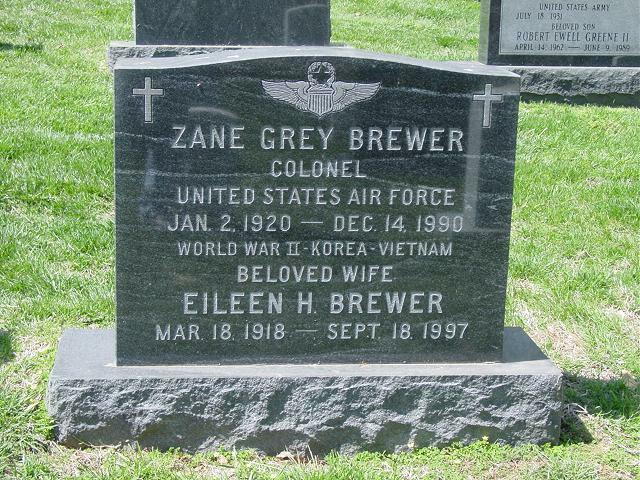 Zane Grey Brewer, a retired Air Force Colonel, 70, who later sold real estate with Coldwell Banker, died of a pulmonary embolism December 14, 1990 at Malcolm Grow Medical Center at Andrews Air Force Base. Was born in Childress, Texas, and graduated from Texas Technical University. He began his military career in the Army Air Forces in 1942 and served as a bomber pilot and instructor during World War II. After the war, he received a master's degree in education at Texas Tech, then served in Fort Worth as supervisor of vocational education for the Texas State Board of Education until 1951, when he was recalled to active duty with the Air Force. He served at various locations in the US, and in Germany and the Philippines before retiring in 1974 as chief of the plans, programs and resources division of the USAF reserve program. On retiring from the Air Force, became a real estate agent with Coldwell Banker. He specialized in Northern Virginia real estate and received the company's top producer award from 1986 to 1989. He was a life member of the Million Dollar Club. He lived in Alexandria and had been a resident of the Washington, DC area since 1963. He was a deacon and chmn of the properties committee of Plymouth Haven Baptist Church in Alexandria. Survivors include his wife of 51 years, Eileen Holland Brewer of Alexandria; two children, and a grandchild. WWII, Korea, Vietnam. January 2, 1920-December 14, 1990. 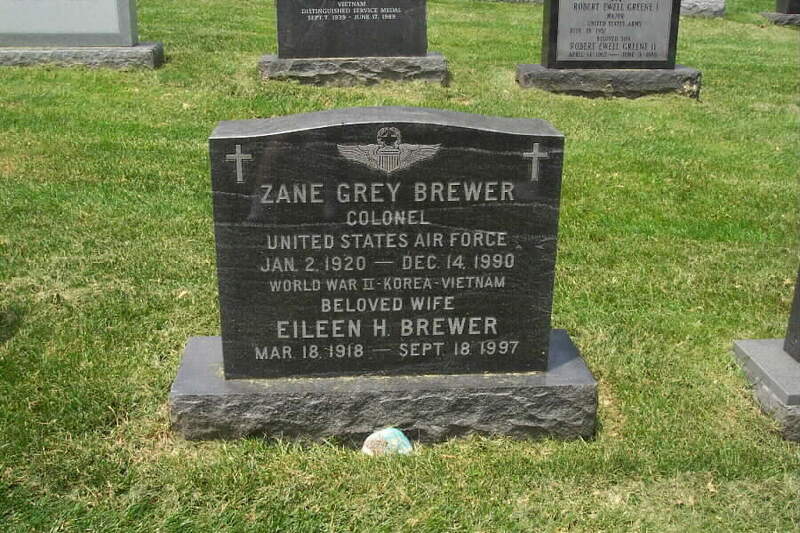 Colonel Brewer was buried with full military honors in Section 7-A of Arlington National Cemetery.